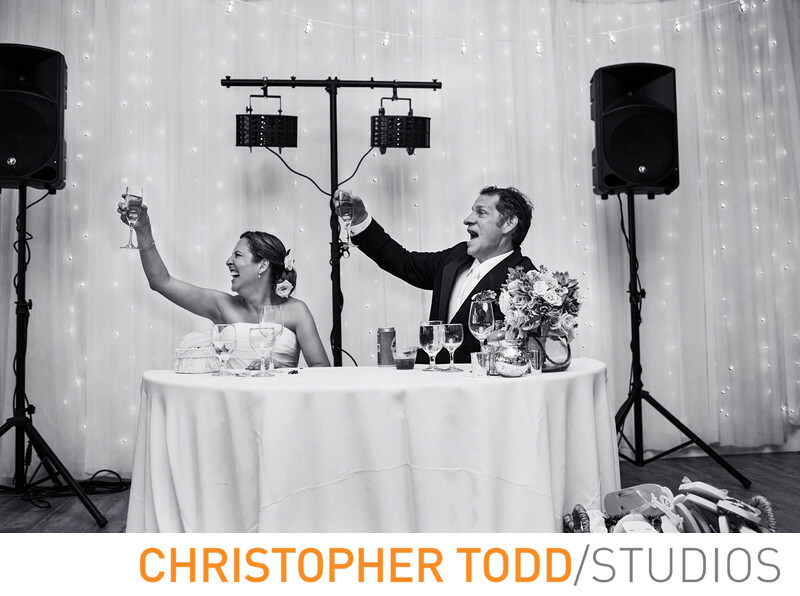 The newlywedd couple raised their glasses for a champagne toast at the Malibu West Beach Club. Location: Markita, 30756 Pacific Coast Hwy, Malibu, CA 90265 . 1/160; f/2.8; ISO 500; 35.0 mm.